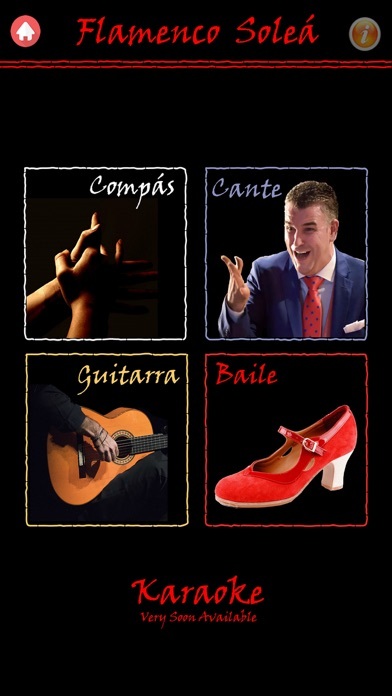 The most traditional dancing, singing and playing "por Solea", arrives in a new format, designed for professionals, amateurs and flamenco students from all over the world. 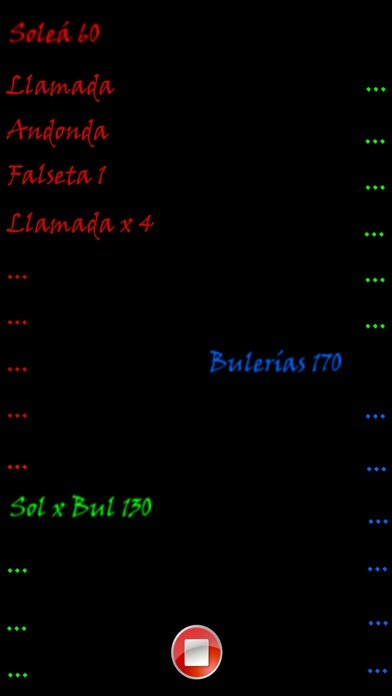 Choose between 3 different speeds (slow, medium, fast), 2 traditional singings by Solea, 4 singings by SoleaxBulería and 2 Bulería de de Utrera, "Falsetas", "Escobillas", "Llamadas", etc. 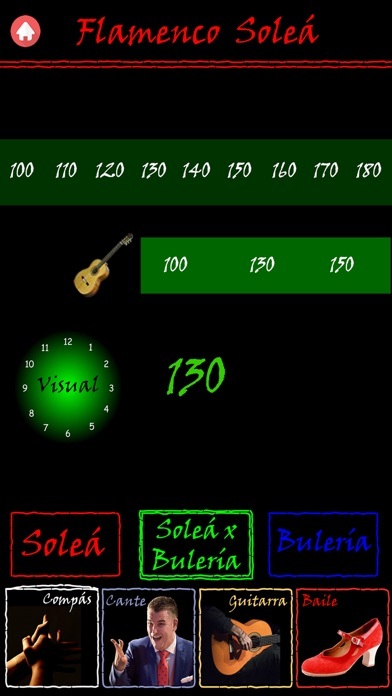 Flamenco Solea is 100% intuitive, with no strange options or useless configurations. If you are a guitarist, you can learn or practice singing accompaniment without the sound of the guitar. If you are a dancer, build your own dance structure !!! Palmeros, Guitarist and Singer at your service 24 hours a day !! With renowned Manuel Romero singing, 1st prize on V Concurso “Membrillo de Oro”, 1st prize Antonio Mairena Contest 2018. He sings actually in most renowned Tablaos in Seville, Spain, and teaches in the prestigious Cristina Heeren flamenco fundation.